The Chinese New Year Community Celebration will be hosted by Hill Street Family Resource Centre, Saturday 9th February from 2-7 pm. The event is organised in partnership with Dublin City Council. 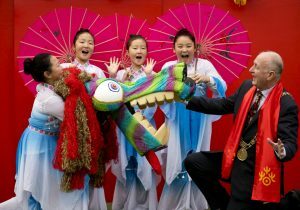 North Inner City’s Hill Street will be transformed into a Chinese Wonderland, hosting a wide range of entertainment, as well as traditional Chinese workshops and performances, over the course of the afternoon. This year’s celebration is the Year of the Pig 2019: a year of fortune and luck! On the day, children and families can expect an array of activities, from food and drama to Tai Chi, Origami, and Calligraphy. Open to all, there are delights for everyone as a variety of workshops and traditional Chinese performers, culminating in the line dance by children from the Hill Street Family Resource Centre, take over this central Dublin venue! Whether you’re a fan of art, culture, food, or history, there will be something for everyone to enjoy at the Chinese New Year Festival. The celebration is led by a group of Chinese parents who live locally, and it has grown organically since it started in 2014. 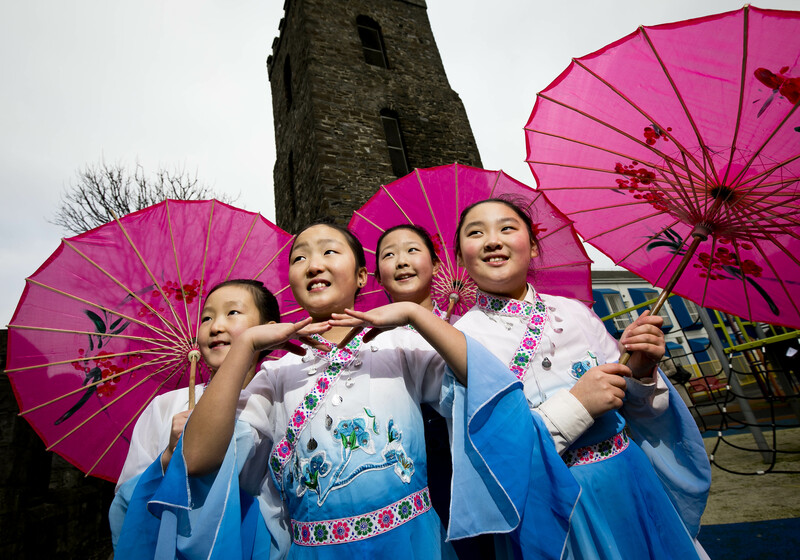 During consultation with Hill Street FRC participants in 2014, the need for a space for Chinese families to come together to celebrate being Chinese in Ireland and to develop their children’s cultural identity was identified. By supporting the parents to set-up, run and facilitate this group, Hill Street also supported community leadership within the Chinese Community. Five years on, the Chinese parents are confident leaders; three of them are Home Visitors with the local Area Based Childhood Initiative and are attending college. The Hill Street Family Resource Centre Chinese New Year Festival is a Multi-Cultural Family Fun Event with entertainment, arts and crafts and outdoor sport activities for both children and parents/carers. All are welcome to take part in this important festive and cultural celebration. This is an excellent opportunity to celebrate inclusion and diversity as we say goodbye to the year of the dog and hello to the year of the pig! The event is funded by the Government under the North East Inner City Initiative. Given its expansion in recent years, the event is moving from the playground out onto the street, and is expected to attract 4,000 visitors. Hill Street Family Resource Centre is based in Hill Street Playground, Hill Street, Dublin 1.